You can't do a job without the proper tools. 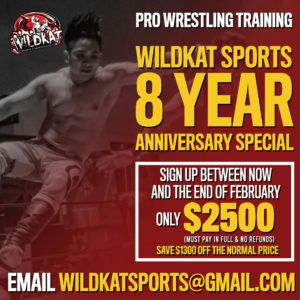 WILDKAT offers a year-long course of professional wrestling training and conditioning. Those interested must be at least 18 years old. This program requires a high level of calisthenic and aerobic/anaerobic exercises. Students are required to disclose any medical condition or medical history that may be in conflict with our routines. In rare cases, a doctor’s clearance may be required. Our classes take place every Tuesday and Thursday night from 7:00PM to 10:00PM & every Saturday morning from 9:00AM to 12:00PM (all Central time). That’s three, three-hour sessions per week. Tuition is a $400 non-refundable deposit, due at sign up. Then, it’s $250 per month. The total is $3,800 due by the course’s completion. Should you decide to pay the total upfront, the $400 deposit will be waived, for a total of $3,400. All payments are non-refundable. 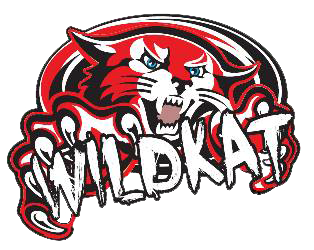 WILDKAT also offers a half-year course for referees and managers. It’s the same class times, sign-up deposit, and provisions as wrestler training, but for only 6 months at $250 per month. The total for this class is $2,000. There are no discounts for this package. We require that all 234 hours of training are finished before you receive your official Certificate of Completion. You’re welcome to email us at contact us using the form below and set up a date to come to our location to observe one of our classes. Please keep in mind that no physical activity will be allowed at that time.